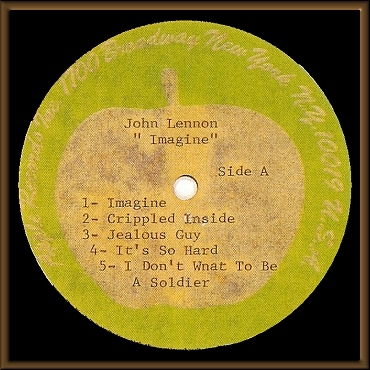 This is John Lennon's personal acetate. Auctioned by Lelands in May 2003. 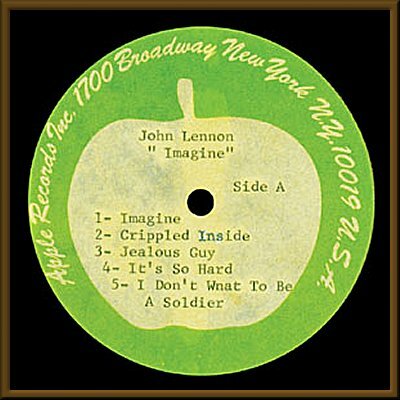 Offered is John Lennon's famous personal advance acetate of his then-upcoming hit LP, "Imagine" - a priceless historic relic which has come to symoblize a significant piece of John Lennon / Beatles History. 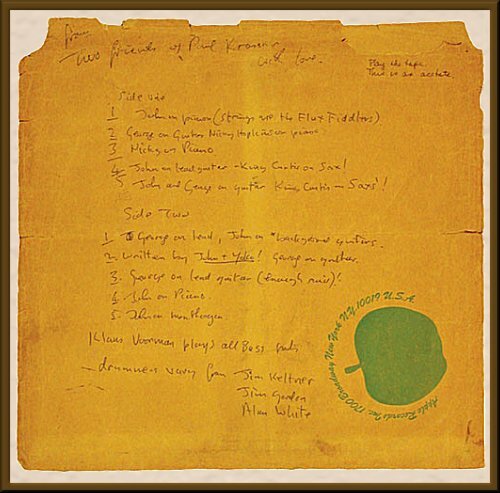 Inscribed in Lennon's hand on the Apple sleeve, "From two friends of Paul Krasner with love." 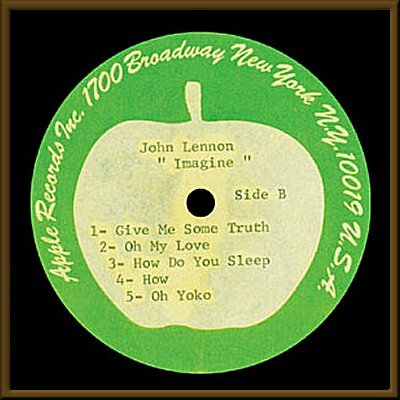 Additionally in Lennon's hand is his track by track rundown of the LP with notations and humorous references which give us further insight into the intriguing mind and personality of John Lennon. Filling the entire sleeve (one side) with the breakdown of musicians and musical assignments for each song. 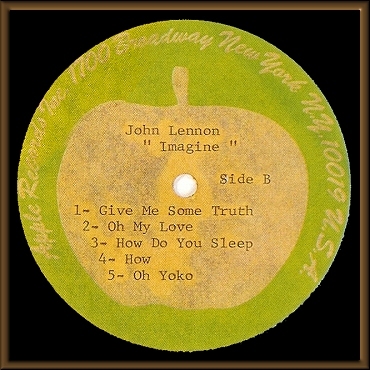 Additionally John has changed the title of track 3, side 2 to read, "George on lead guitar (Enough Said!!)." 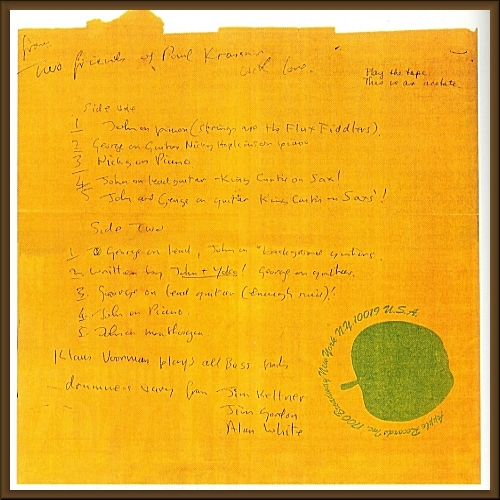 This is an interesting commentary on the relationship between John & Paul. 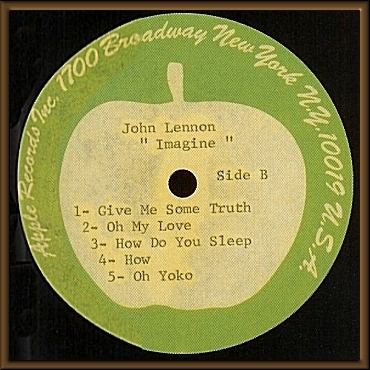 He has written his name, "John", 7 times on the sleeve. 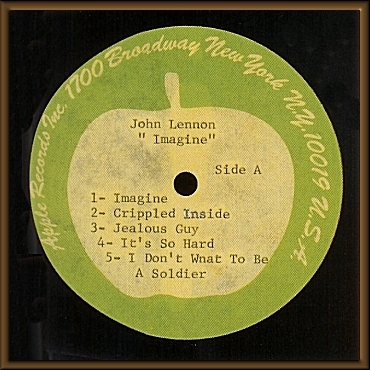 The record's labels with typed print are also most likely prepared by John himself, and boast several visible "typos": "Crippled Inside" was originally typed to read, "Crippled Guy" and the corrected error is still visible, "I Don't W-n-a-t To Be A Soldier", etc. 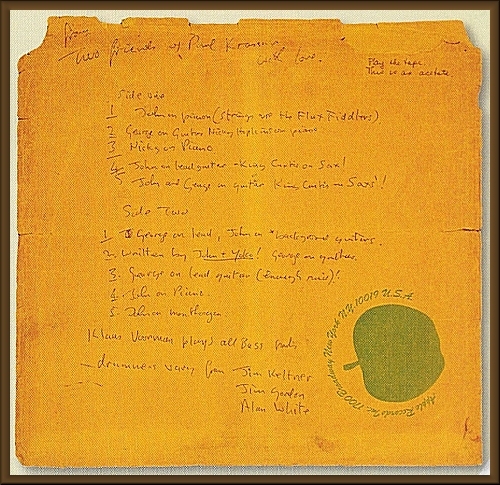 Literature on this unique piece can be found in Bruce Spitzer's 310 page tome, The Beatles on Apple Records. Has also been published in Beatleology magazine. 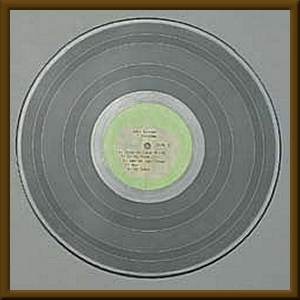 This piece is additionally authenticated by Frank Caiazzo (LOA). These two impeccable sources have set the standard in Beatles collecting. Lock this one up and throw away the key!